database freeware for Windows Mobile smartphones, WM2002/2003/2005 phone free downloads. 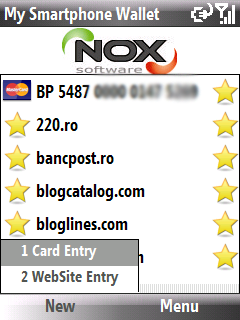 � Summary: Store in a secure way your credentials, backup or restore the database. 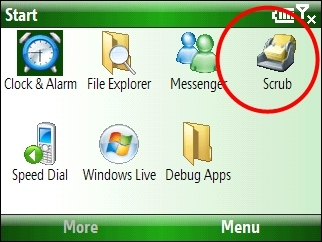 � Summary: Scrub is a small Windows Mobile utility to detect missing information such as email addresses, home or work phone numbers, addresses and birthdays from your contacts. � Summary: My Smartphone Wallet is a freeware mobile application designed to store in a secure way your credit card information, very simple and easy to use. � Summary: With SIM Manager you can copy one or all contacts in a single operation. You can also add and delete entries to SIM card. � Summary: CT Birthday is a useful utility that allows organizing your personal list of birthdays, anniversaries and other important dates. � Summary: Auto-launch of different tasks on your smartphone is very useful feature. Unfortunately, standard Windows Mobile OS does not have such functionality. 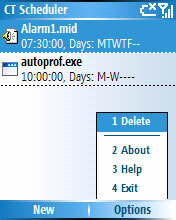 � Summary: Export WM6 contacts to comma separated file (csv). 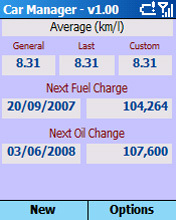 � Summary: An utility to monitor your Car Fuel Consume, Oil Change and other things comming soon.